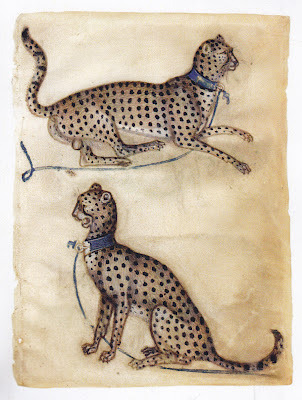 by a follower of Govannino de Grassi. church, possibly the Franciscan church of S. Maria Val Verde. - for a letter, 3 aspri; for a letter within the territory, 2 aspri. - for a document authenticating manumission of a slave, 1 ducat. - for a document authenticating ownership of a slave, 3 hyperpera. - for writing out the payroll for a ship, 2 marcelli; for a grippi, 2 aspri; for a barcha, 4 soldi. - for an inventory of the deceased's possessions: moveable property 1/2 tornese per hyperper; for real estate, 1 aspro per hundred; for a fair copy on good paper, 2 aspri. His documents moved into history: he wrote the Greek versions of the two boundary agreement that were accepted by Mehmed and Beyazid. So Eustacio should have been comfortable. He was a survivor of the siege of Negroponte, but his wife and children were taken as slaves. He had been able to redeem three daughters who needed dowries, but two daughters were still -- more than ten years later -- in Turkish possession. In addition to being Minio's cancellier, in 1475, the provveditor of the Venetian fleet and the Captain General had jointly appointed him as paymaster for the Greek and Albanian stratioti, and the Italian fanti. When the provveditor of the Venetian fleet arrived in Nauplion in late January of 1480/81, besides firing stratioti, and beating and humiliating some of the kapetanioi, he fired Eustacio -- two months before his appointment was to end -- and assigned his own cancellier as paymaster. This was a serious matter, because the paymaster took a cut from every salary paid, and Eustachio lost in some instances a good four years' worth of benefits. What these paycuts meant in actuality was that Minio thought a stratiote should have received 28 soldi for one pay, six times a year. If Venice was overdue -- and it always was -- there may have been back pay, too. From that 28 soldi, the Paymaster General back in Italy got 4 soldi and Eustacio was to get 2. When the provveditor put in his own paymaster, the new paymaster took Eustacio's 2 and then another 2 for himself. So a stratiote could pay nearly a quarter of his salary for the privilege of having a salary at all. Minio says that this system was put into place by Valerio Chiericati during the war of 1463-78, when he was sent out to standardize the pay system across the Venetian territories. 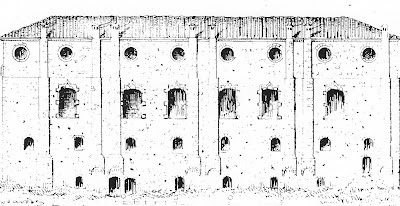 I have never been so close to a storming-the-Bastille-and-Winter-Palace mood as I the day was when I was in Vicenza and saw the Chiericati palazzo, the eventual celebration of grinding down Nauplion -- and many other -- stratioti and fanti and soldati. 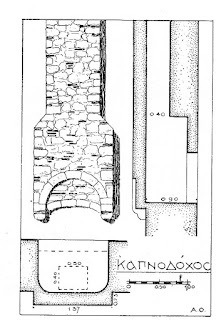 In 1491, two Franciscan friars were sent to Nauplion. There had been no Latin clergy in Nauplion since 1487, and nothing tells us what was going on -- if anything -- in the little Latin churches. In an effort to remedy this problem, the Senato Mar formally gave possession of the church, friary, land, and houses of S. Maria Val Verde in Nauplion to the Franciscan Minister of the Province of Greece. **** The Senato also provided the first year's expenses for the friars. When the friars arrived, they found the house where they were to live a calamitatem, there was no place else suitable, and they had no way of building a new house. They complained to the Nauplion governor, provveditor, probably Giovanni Nani. A petition was sent to the Senato -- the petitioners are not identified in the Senato document -- which said that since a staff chaplain, capellan, for the provveditor cost 48 ducats a year, that money could be used to build a house for the friars, and then provide for their necessities. Also, the provveditor would like two more friars to be sent. He wanted to be able to have Mass said for him and his staff in his own house in the fortifications on Akro-Nauplion, or in church. The provveditor and the Nauplion council were in agreement with the petitioners. The Senate approved the petition on 15 December 1491, which is the document I have. 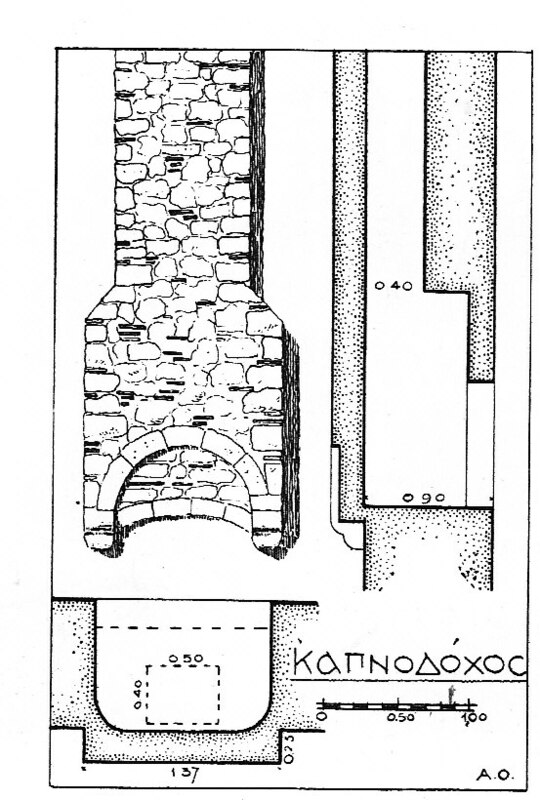 We have almost no information about Latin churches in Nauplion. 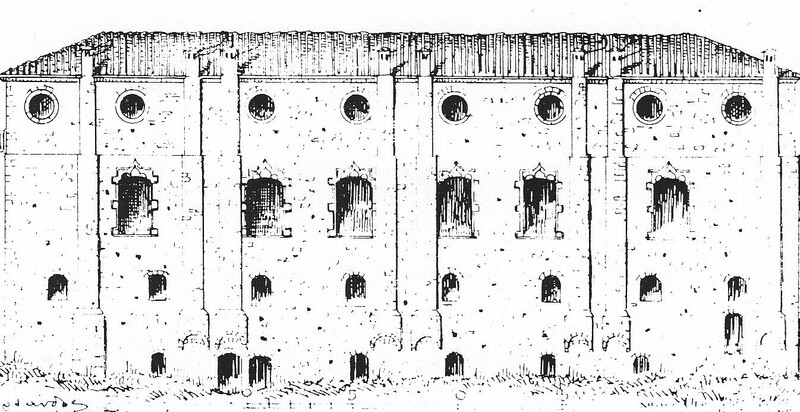 There was a Franciscan convent at Myloi in 1450. (Here, #6.) There was a S. Anastasio on the plateia and a S. Veneranda outside the walls in 1500, and a S. Niccolo (which could have been a Ag. Nikolaos) on the waterfront in 1480. (The dates are the dates of my documents, and don't suggest anything about when the churches appeared. The Camoccio map shows a number of churches, all certainly small, but they cannot all be Latin rite. South side, remains of earlier arch. It has been through periods as a mosque, and about 1700 the Venetians reconfigured the roof to give it the flat ceiling customary at the period. But we don't know if Panagia was S. Maria Val Verde. 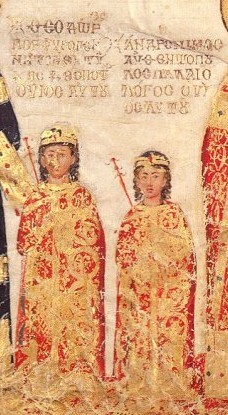 The connection between the friars and Eustacio is that he is identified in the Senato document as writing the Nauplion petition. The petition is so clearly worked out in detail,with all the possible bases for objection covered, that you can see the careful work of the man Minio wrote about during the early 1480s. 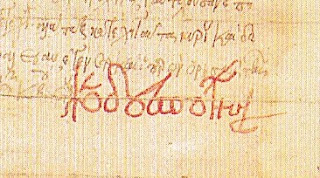 It was Eustacio who allowed me to identify Minio's handwriting: the manuscript of the Minio letters is written in four different hands, closely related. There are occasional glosses in the margin written in one of the hands, and you can see how that works in the printed version of the Minio letters, say on page 101 here. Eustacio's name never appears in the letters, but in the margin of Letter XXVII, the gloss says about my Eustacio, cancellier and collateral. That my Eustacio -- mio Eustacio -- identified Minio's handwriting is not an earth-shaking discovery in many worlds, but it was exciting for me after so many years of living with the letters. After finding this document, he is mio Eustacio, too. 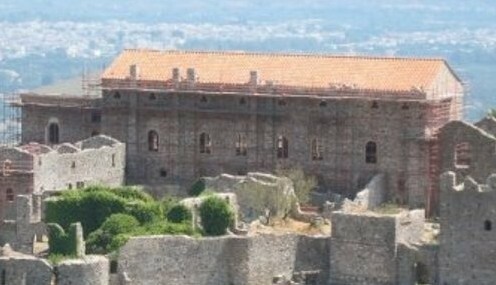 * Bartolomeo Minio's letters about Nauplion between 1479 and 1483 are here. ** These can be found in volume 4 of Sathas, 216-217, here. *** Possibly as a result of the Eustacio affair, the Senato declared in 1485 that no cancellier could hold his position under the same governor for more than two years. Obviously, Eustacio had been rehired. **** S. Marie Vallis Viridis in the document. The mother house was in Venice, in Cannaregio. 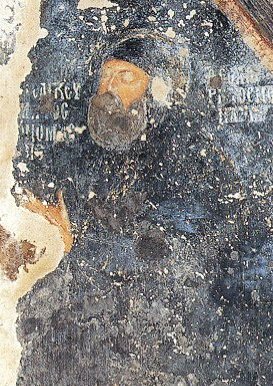 The Franciscan Minister of the Province of Greece who had to handle the matter of sending Franciscans to Nauplion in 1491 was Gratiano of Brescia. Brigitte Eckert took the photographs. I like that idea a great deal, but it makes me think that no one told the later Palaiologues. The treaty Theodoros I signed with Venice in 1394 described itself as "subscriptione in fine instrumenti rubei literarum manu propria domini dispoti . . .." Theodoros II signed a letter to the Pope and a grant of land in red -- vermilion -- ink. The same with the signature of Demetrios, above. The image in last week's entry showed the little Despot Theodoros wearing red: we couldn't see his shoes. 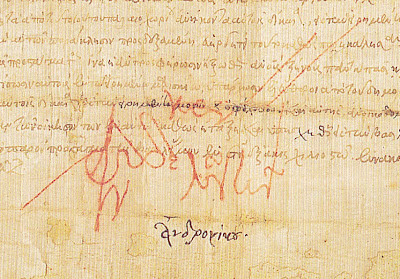 A signature of Andronikos in 1414, confirming a grant from Manuel in Thessaloniki on his way south to build the Hexamilion -- is in black. *** He was a minor then, just 14, and the signature is in the genitive -- Andronikou -- "by me, Andronikos." You will notice that Demetrios' signatures above and below are in the nominative. 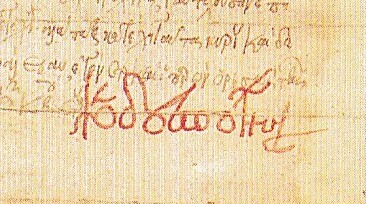 A second signature at Thessaloniki, this from 1419, is in red and the ending is in the nominative -- ὁ δεσπότης. *** Eighteen was a significant age for Byzantines, and I believe the change in case ending is an indication that Andronikos had become of age to rule for himself, without a regent. 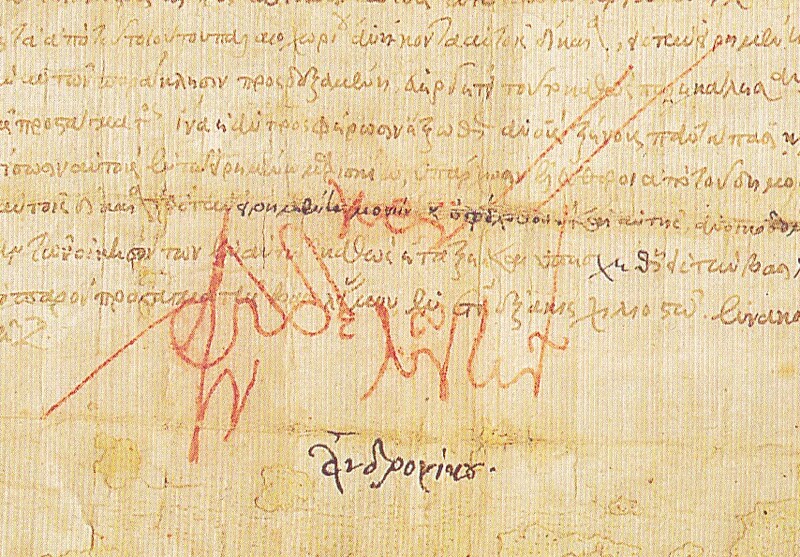 A signature from Demetrios,*** when he was Despot of Lemnos under Mehmed II, is also in red. * Image from: "Σφραγιδες των τελευταιων Παλαιολογων και των περι αυτους," Νεος Ελλςηνομνημων 1: 416-432. ** Warren Woodfin, The Embodied Icon. Oxford University Press, 2012. *** Treasures of Mount Athos, Thessaloniki 1997. Ch. 13. The quality of the color printing in this heavy, expensive volume produced by Athos and the Ministry of Culture is shameful.